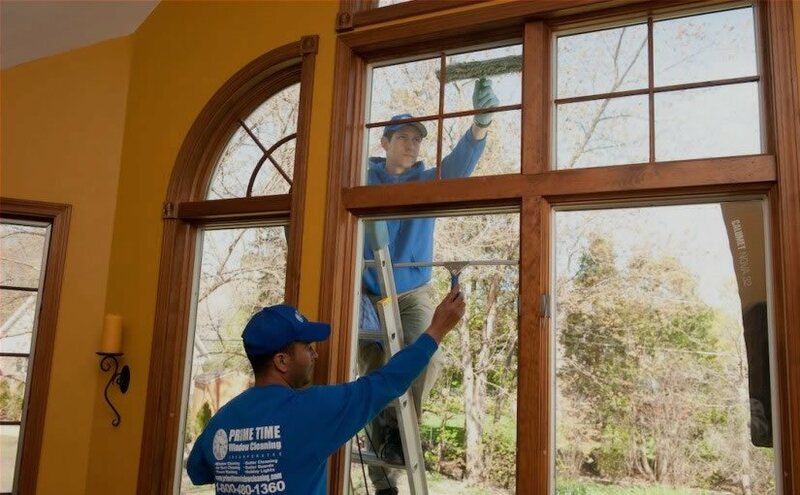 At Prime Time Window Cleaning we want to be your window washer in Chicago, but we’d also like to pass on some DIY tips to help you keep your home looking its very best. One task homeowners often face is removing tape and tape residue from their windows. Perhaps you’ve done some DIY painting and put tape on the windows to protect them. Or maybe you taped decorations or placed decals on your windows during a holiday. Or faced with a dangerous storm, you placed tape in an X formation across your windows. 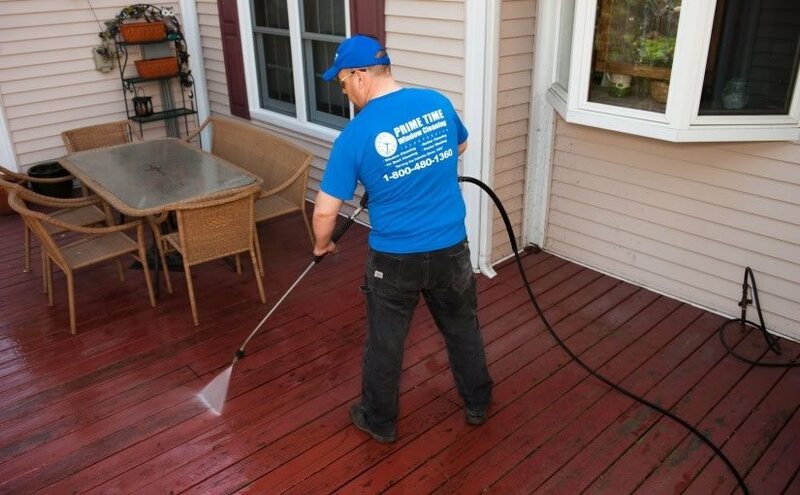 Whatever the reason, now you need to remove the tape and the sticky residue left behind, and as your #1 window washer in Chicago, we want to pass on these helpful tips. Pull the tape off with your fingers and then use a dull butter knife to remove any remaining tape and as much adhesive as possible. Be careful to use a light touch to avoid scratching the glass. Spray the window with a liberal amount of glass cleaner and let it sit for about 10 minutes to soak into the tape residue. Then wipe the window with a dry paper towel. If there’s still tape residue on the glass, remove it with a soap and vinegar solution. Fill a small bowl with warm water and add a few drops of mild dish soap. Pour ¼ cup of distilled white vinegar and stir. Dip a sponge into the mixture and apply to the tape residue using a small, circular motion. Wipe the glass with a soft, damp cloth. Spray more class cleaner and wipe off with a paper towel. Remove any remaining, stubborn residue with a bit of olive or other cooking oil. Spread a thin coat over the glass using a sponge or paper towel. Rub a nonabrasive scouring pad over the glass to remove the residue and wash the glass with soapy water or glass cleaner. As an alternative to the oil, place a few drops of rubbing alcohol on a sponge or soft cloth and rub the class using small, circular motions. Apply more alcohol to the sponge or cloth and continue rubbing as needed. Beyond this household chore, remember that Prime Time Window Cleaning is a full-service window washer in Chicago. Email or call us today at 800-480-1360 for your free, no-obligation quote, and let us meet all your residential or commercial window washing needs.